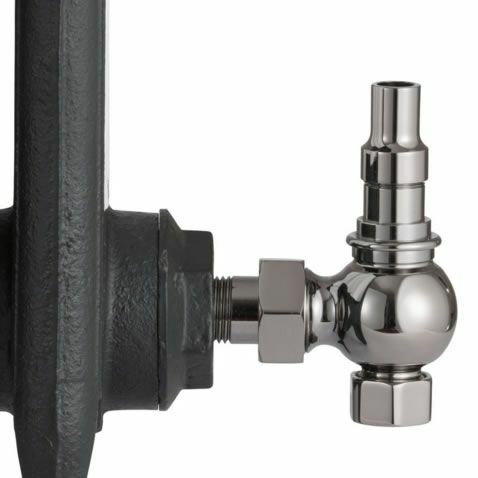 Also available in a range of finishes - Antique Brass, Satin Nickel, Chrome Plated. 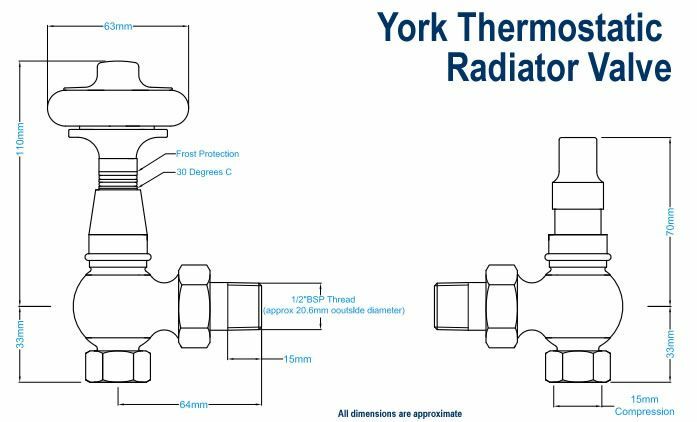 York Thermostatic Radiator Valve finished in Black Nickel which works well with cast iron radiators finished in metallic colours. 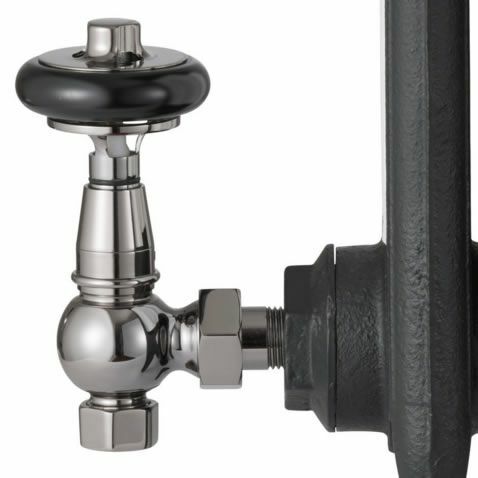 The Black Nickel plated York Radiator Valve, with it's hand crafted wooden wheel head, is the original traditional valve that was used with cast iron radiators in the Victorian period. 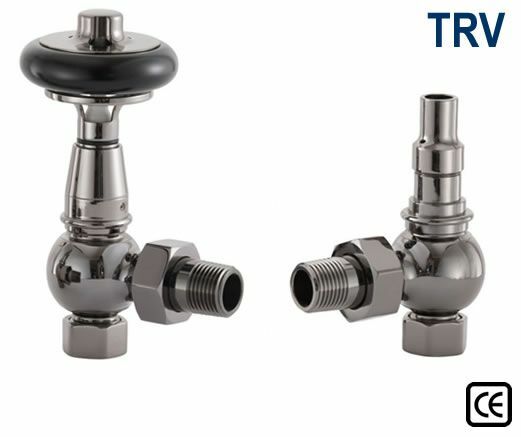 There are many imitations and in the interwar period, there was a fashion for swapping the historic wooden wheel head with a bakerlite or plastic head, but it is the historic York Series of valves that retains the original design. Real wooden wheel head made from FSC sustainable forestry sources.